This Website showcases the work of pre-service language teachers who produce their own Machinima to teach languages. This idea was developed during the Drama class taught by Asst. Prof. Tuncer CAN in 2015 at Istanbul University, Hasan Ali Yücel Faculty of Education, English Language Teaching Department. In the completion process of their machinima the pre-service language teachers received technical help from their peers led by Asst. Prof. İrfan Şimşek at Computer Education and Instructional Technologies Department. 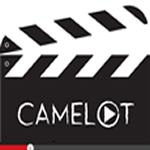 EU FUNDED CAMELOT PROJECT (2013-2015) This project has been funded with support from the European Commission (Project number: 543481-LLP-1-2013-1-UK-KA3-KA3MP). The information on this website reflects the views only of the authors, and the Commission cannot be held responsible for any use which may be made of the information contained therein. To share your work email us at support@teacheranima.com Inkzine Theme by InkHive.